Few people have had as much of an impact on motorcycle design as Massimo Tamburini. While the world looked to the Italians for groundbreaking new designs, the Italians looked to Tamburuni. He is responsible for decades of timeless Italian-flavoured sport bikes like the Ducati 916, MV Agusta Brutale and F4 750, and many more. He has helped companies like Cagiva, MV Agusta and Ducati find their design language, and was one of the founders of Bimota (the last two letters of this marque being the first two letters of his surname). 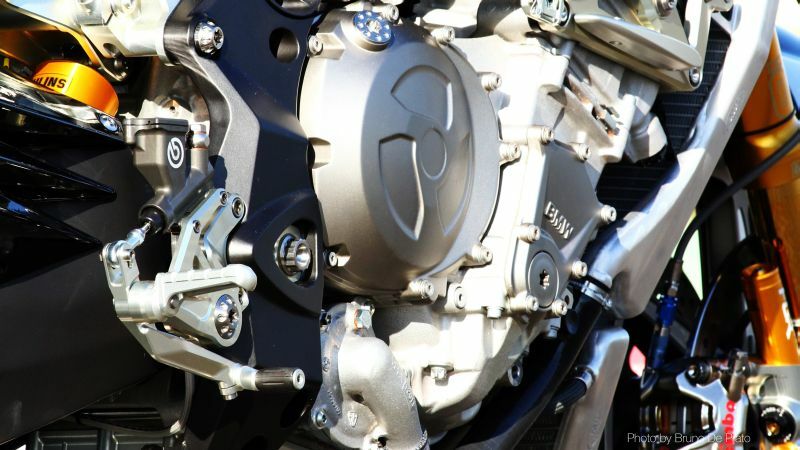 In the years leading up to his death in August 2014, Tamburini was working on the ultimate track tool; a motorcycle without compromises, that did not have to conform to the legal and financial constraints of mass production. 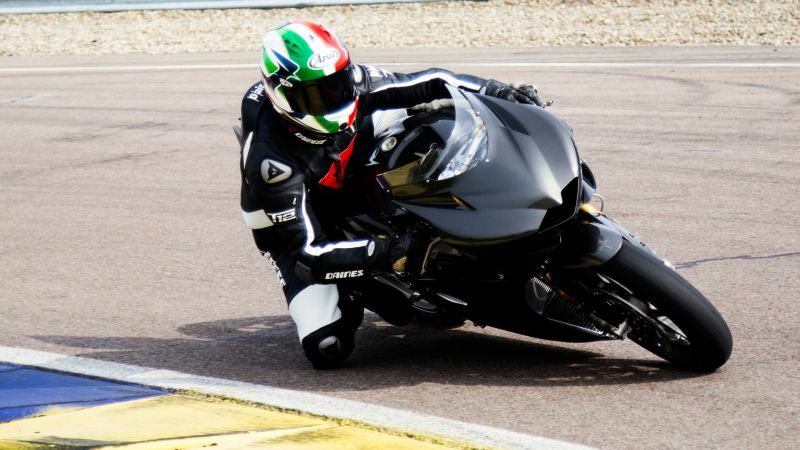 The bike, christened the T12 Massimo and brought to realisation by Tamburini’s son Andrea, is built around a four-cylinder BMW S 1000 RR engine which, controlled by a MoTeC M170 ECU, churns outward upwards of 230 PS — we’re clearly in WSB territory now. 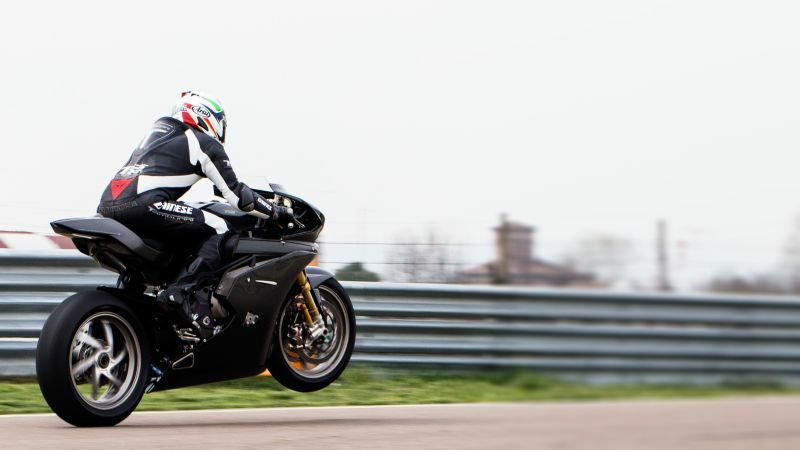 The trellis frame design is typical Tamburini, and he hand-welded the first prototype himself; built with high-tensile steel, the space-age unit allows frame flex or stiffness to be adjusted to suit different tracks and riding styles. With no cost factor to be considered, top-spec components have been used all over this bike. The Ohlins FGR gas fork is equipped with a suspension potentiometer, the rear Ohlins shock was built to Tamburini’s specifications, the GP-spec Brembos get quick-release brake lines, and information is conveyed to the rider by the purely functional digital display by MoTeC. Exotic materials abound; all the cast parts, including the single-sided swingarm and the Marchesini wheels are made from magnesium, the rearsets, levers and top yoke are machined from billet aluminium, the Arrow exhaust brings titanium and, to further keep weight down, carbon fibre is used all over. All the bodywork, including tank, fairings and seat, as well as the airbox and intakes, are made of carbon. The result is a bike that weighs just 154 kilograms dry. 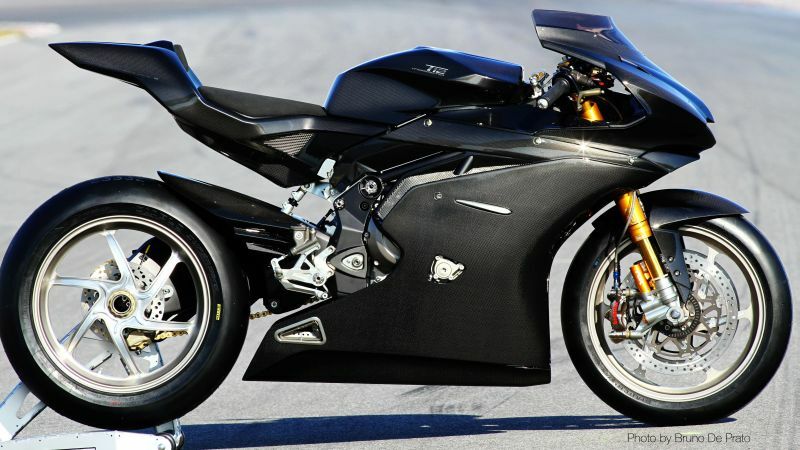 The T12 Massimo will soon be available for sale and, with an stratospheric price of about 3,00,000 euros (Rs 2.26 crore before taxes), could the next object of desire for elite racing teams, while a few units will surely find homes with super-rich, motorcycle-crazy collectors.